Set in a small mining town in the Democratic Republic of the Congo, Lynn Nottage’s Ruined follows Mama Nadi, a businesswoman who is trying to stay afloat in a world torn apart by civil war. The war has ravaged her country, and especially the young girls who have literally been torn to pieces by soldiers on both sides of the conflict. Mama Nadi takes “damaged” girls into her brother/bar and profits from them, but also protects them from the brutality of the world outside her doors. Amongst Mama Nadi’s charges are Josephine, the daughter of a chief whose town was destroyed and who was raped by rebel soldiers; Salima, who was taken by rebel soldiers, who killed her baby and took her as a prisoner-of-war before making her pregnant; and Sophie, a young girl who has been “ruined” by sexual violence. We also meet soldiers and commanders on both sides of the conflict, all frequent customers at Mama’s bar. 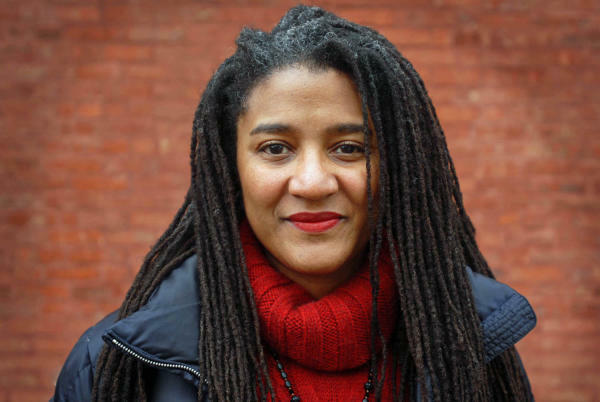 Ruined was developed during playwright Lynn Nottage’s pilgrimage to Africa, where she interviewed girls and women who themselves were, and continue to be, the battleground upon which war is fought.